What Colour Should The Sky Be? 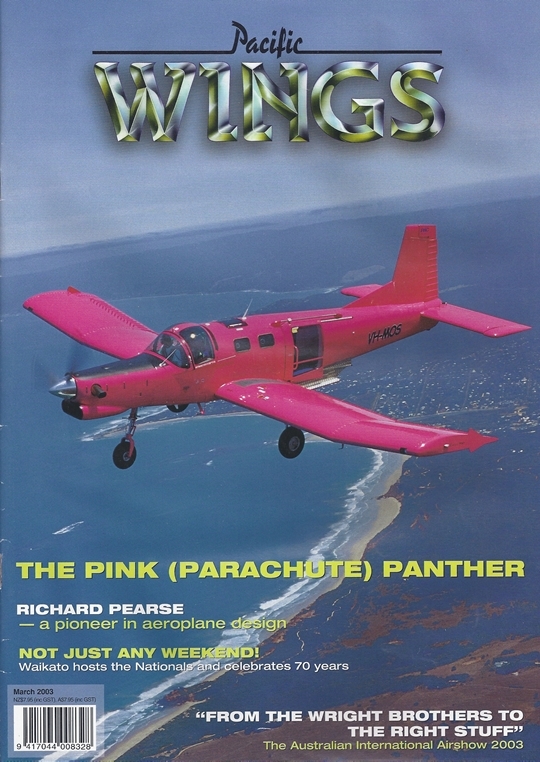 Much Of The Debate That Surrounds Richard Pearse Centres On Whether Or Not He Beat The Wright Brothers Into The Air To Become The First Powered Aeroplane Flier Of All Time, But A More Fruitful Question To Ask Might Therefore Be, ""Where Did Pearse Stand As An Inventor Of The Aeroplane?"" In This Article, The First Of Several Forthcoming Essays That Pacific Wings Will Present To Mark 100 Years Of Flight, Ross Ewing At Richard Pearse'S Life And Searches For An Answer To This Question. On Top Of The Waikato Aero Club Celebrating Its 70Th Anniversary Over The Weekend Of 21-23 February, The Club Also Hosted This Year'S Rnzac Nationals. Colin Zuppicich Reports On This Busy Waikato Weekend. Tow Pilots Up Front And Hard At It!